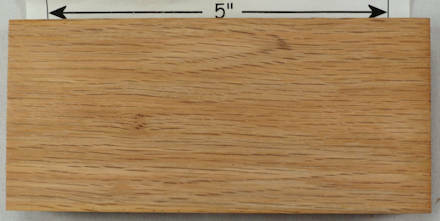 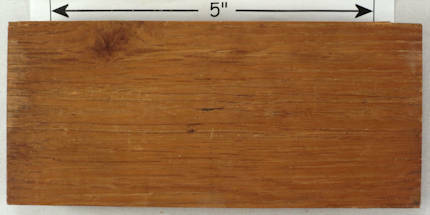 A collection of over 50 samples, mostly North American wood and most of which are shown in the composite pic below, that are all 5.75" x 2.5" x 1.5" and stamped on one end with their common names, and on a couple of them with additional information stamped on the other end (such as "Portsmouth England" on a piece of English oak). 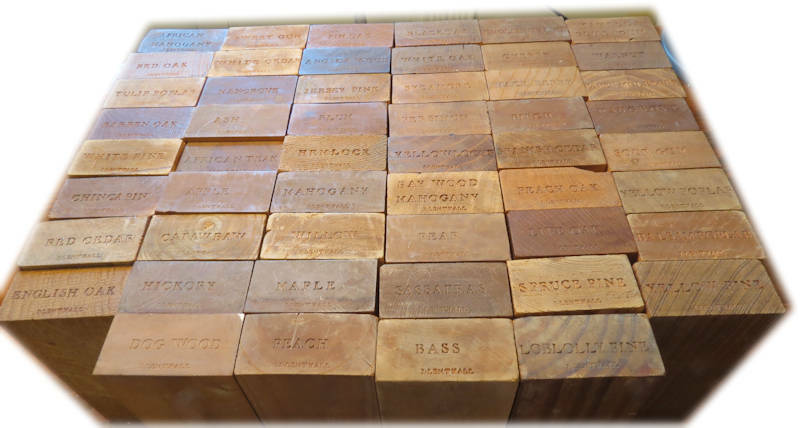 These have presented me with an excellent opportunity to show how the surface aging of the wood is just that ... 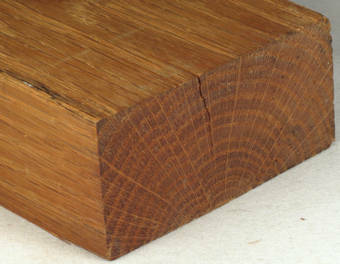 SURFACE aging. 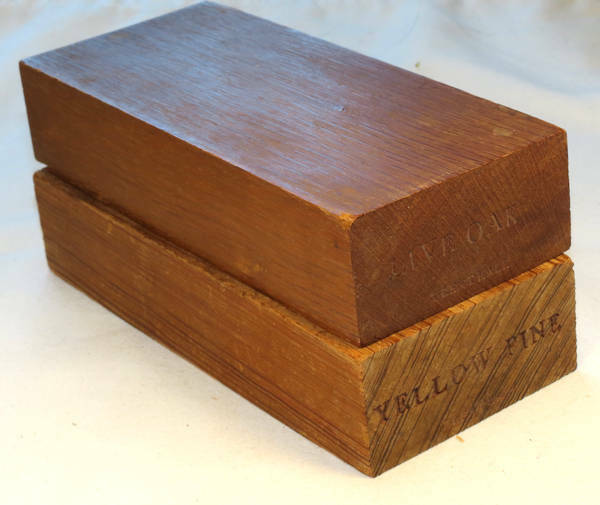 On each of these I removed 1/8" from one face and then sanded it smooth and I have before and after pics of that surface in each case, showing how the surface aging (on all but a few wood such as black locust) does not go even 1/8" into the wood. 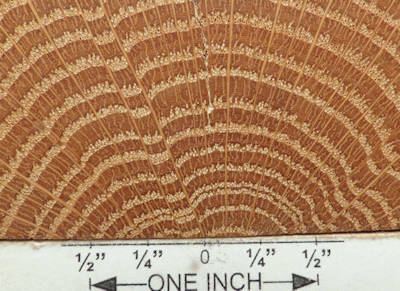 I have also sliced off 1/8" from one end and then done my fine sanding (1200 grit) on them for the "end grain update" pics for the anatomy pages on this site. 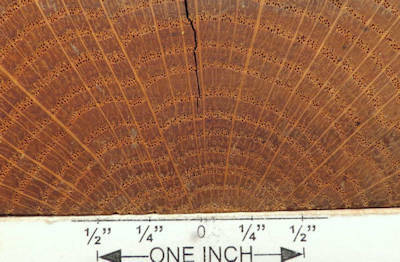 the second face, before and after slicing off 1/8", showing how the patina from aging is only surface deep.